Merville House is an 18th Century manor house turned modern events venue located in Newtownabbey on the outskirts of Belfast. It’s a multi purpose facility retaining original Georgian features complemented with contemporary design. The redevelopment and running of Merville house is a joint project between Merville House Limited and Merville Residents Association. The house re-opened in April 2006 after extensive renovation and since then has hosted many business and community events. The venture is a not-for-profit social enterprise, run by a board of directors. The board are supported by volunteers from Merville Residents Association. 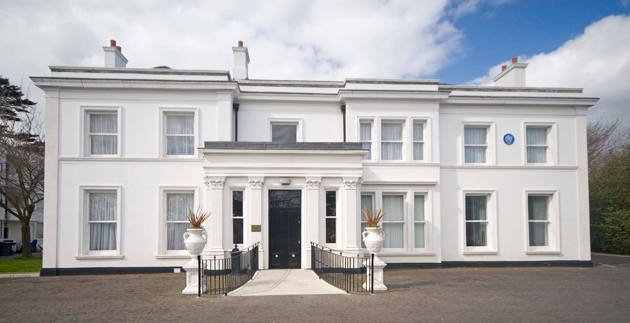 Merville House has established itself as popular venue for all kinds of events, from conferences to weddings, and is home to a number of clubs and societies with activities such as yoga, bridge, photography, ju-jitsu and scrap-booking.